THE PGA TOUR, WHICH RECENTLY OPPOSED the anchoring ban proposed by the USGA and the R&A, is considering a ban of tour veteran Steve Stricker, according to a tour insider who spoke on condition of anonymity. Although fond of Stricker because he’s such a nice guy, many PGA Tour players have felt the Wisconsin native has had an unfair competitive advantage on the greens for years. Stricker is considered to be one of the best putters on the planet. 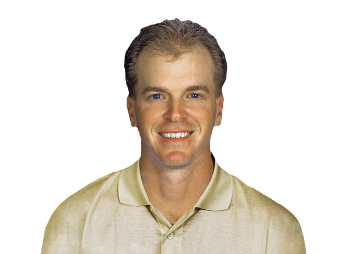 He joined the PGA Tour in 1994 and has 12 victories on the circuit. While Stricker had been allowed to compete unhindered on tour for nearly two decades, the players now realize the danger posed to their livelihoods—and the game of golf itself—if the genial man from Madison continues to ply his exceptional putting trade. The player revolt that very well may spark a ban came to a head this past week at the WGC-Cadillac Championship in Miami. It’s common knowledge that Woods’ dominant run was stalled by several factors: a knee injury, personal problems and another swing overhaul. But perhaps even more damaging was the loss of his putting touch. With Stricker helping one of the all-time greats with his putting, many on tour feel their professions are threatened. Some are rumored to be considering lawsuits. Woods himself seemed to admit that Stricker is a difference-maker, and would likely be opposed to a Stricker ban. Tiger only needed 100 putts over the four rounds en route to his win at the TPC Blue Monster. Woods and Stricker finished 1-2 in the event. An emergency meeting of the 16-member PGA Tour Player Advisory Council and tour commissioner Tim Finchem is said to be scheduled in the coming days. The Stricker ban could be implemented as early as next season. A 90-day comment period is expected, after which the Stricker ban would go into effect anyway. Whether or not the Stricker ban would extend to the Champions Tour is an open question. Stricker will turn 50 on February 23, 2017. Ban the #@$%! ?& I say! For the good of the game. Bloody hilarious! I hope they keep working together, it will make for an interesting season.